A key double in Round 5 led Downtown Sasquatch to claim first! Well done to all the nerds out there who got 9 out of 10 on the comics round! Shoutout to England's Coming Home for the Best/Cruelest team name. 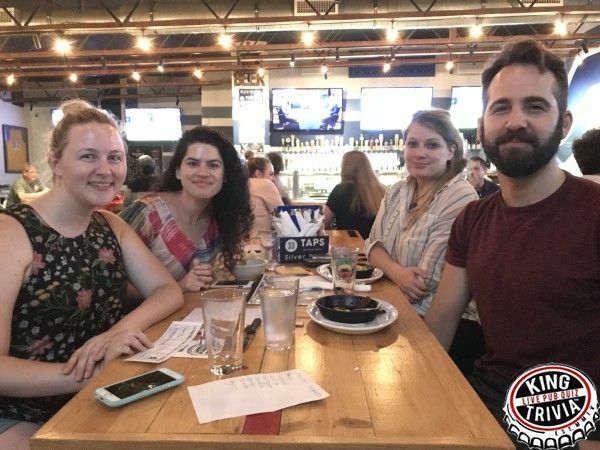 For those that felt like celebrating the birth of our nation by watching things blow up seemed a little on the nose this way, we had a delightful game of trivia at 33 Taps Silverlake! Bananas Foster claimed the top spot, while the Independence Gays flipped the digits in their score to claim second! It was a huge night at 33 Taps Silverlake this week as I assume everyone came out to celebrate my birthday, and the players, staff and everybody at 33 Taps Silverlake made it a night to remember! Songs were sung, and Churro Waffles were excitedly gobbled up! Second place went to nay favorite named team Sweatpant Boners, who were trailed fairly closely by The Weirdy Beardies!